Are plastic trees more environmentally-conscious than buying a real one? Surprisingly, only slightly. However, they are only environmentally-friendly if you plan to use them for at least 10 years. The plastic processing that it takes to make fake Christmas trees is just as harmful as cutting one from the wild. 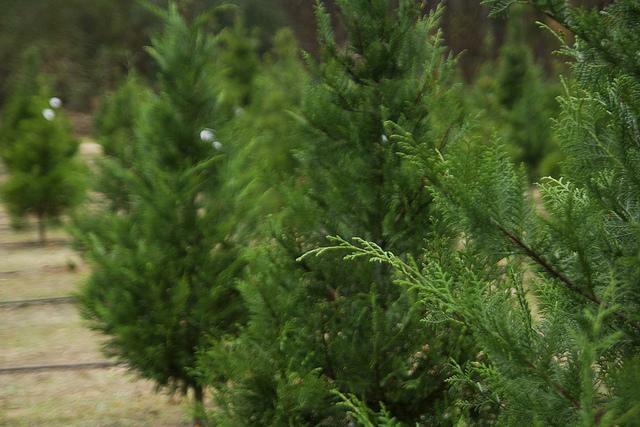 However, if you just need that fresh pine tree, go ahead and get one – just make sure it’s from a tree farm. The thing about tree farms is that they grow these trees expressly for Christmas. It's their business, so in order to keep business booming, they plant more each spring. Energy waste is another big part of what makes Christmas so damaging for the environment. Traditional incandescent bulbs for your tree are still more wasteful than they need to be. LED Christmas lights are the way to go this Christmas. They have better colour than traditional lights and they save much more energy. Decorating your Christmas tree with heirloom decorations is fine, but if you go out and buy new decorations each year, it may be time to think about another course of action. Instead of buying new decorations and disposing them each year, make your own decorations. This is a great way to celebrate Christmas with your family. Set a day aside when you all hunt around the house and create the most meaningful and environmentally-friendly decorations as possible. DIY decorations mean so much more to the family than store bought decorations. More often than not, store bought wreaths are made out of harmful plastics rather than fresh evergreens. Unless you plan to keep that plastic wreath around for years to come, skip it. Instead, use fresh evergreen branches. If you buy a real Christmas tree, buy one that’s an inch or two too big and cut off the base. This provides fresh evergreen branches that you can easily weave into a wreath. Alternatively, consider making one out of reusable materials like ribbons. Store bought tinsel is one of the most wasteful Christmas decorations. You put it on, thinking that you will be able to take it off and reuse it next year – but tinsel is just not that simple. It clings and tangles, and people tend to just toss it out with the tree. If you are dead set on having that glimmer, switch to coloured Raffia tinsel. Raffia is tinsel that’s made from plants. It is still shiny and will amp-up your Christmas lights, but it’s also biodegradable, so it won't spend years breaking down.